Workshops are held on demand Monday to Saturday. Transportation is available from central Vientiane to the centre. The van departs from the bus stop, outside Wat Mixay (pronounced Mee-sye), on Rue Setthathilath in Ban Mixay, at 8.30am and 1.30pm on demand. See workshop details for information and to book a workshop complete the booking form to reserve a place. 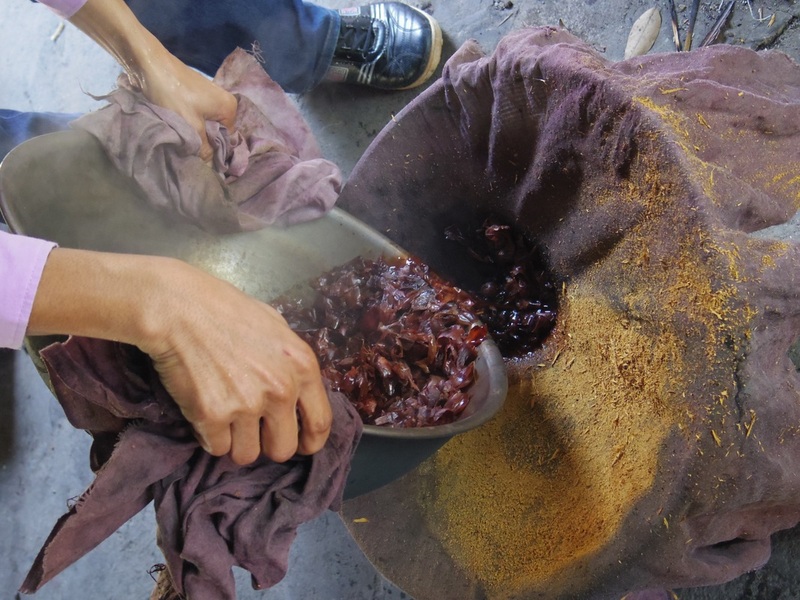 ﻿In a half day you can learn about natural dyes, make patterns and dye your own silk scarf, or understand the mechanism of the Lao loom, and weave your own piece of silk. There a half and full day course in both. Individuals and groups of all sizes are welcome. ﻿For textile enthusiasts who are keen to master more advanced techniques, we have 1-3 day courses in the resistance dye weaving method, ikat, and an intensive 6 day course in natural colours.